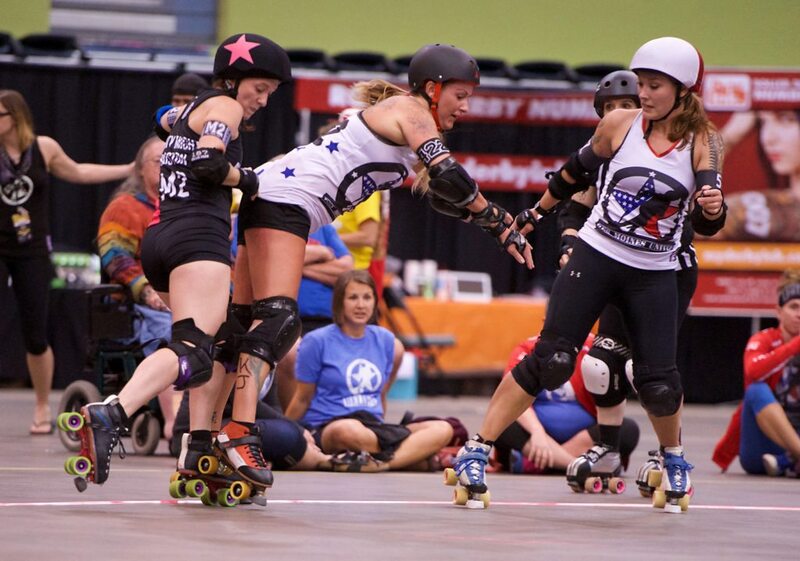 (TUCSON, AZ) The Arch Rival Roller Girls All-Stars hit a significant benchmark Friday in its 241-76 victory over Des Moines Team United in the quarterfinal round of the Women’s Flat Track Derby Association (WFTDA) playoff held at Tucson Convention Center. 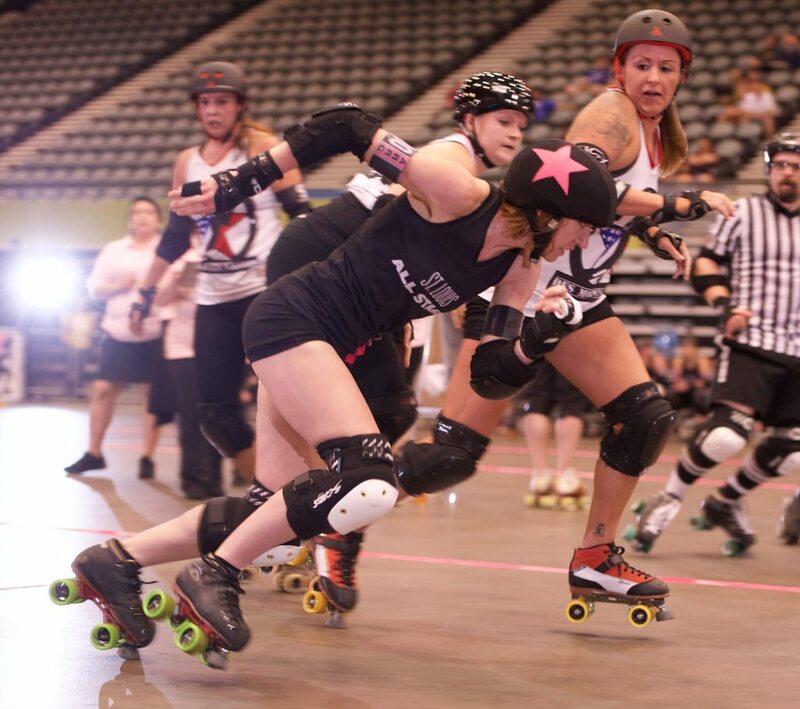 In its prior six post-season appearances in the WFTDA, St. Louis had never reach a tournament’s semifinal game. With today’s 165-point quarterfinal win, Arch Rival can now cross a historical item off its bucket list. ARRG, seeded third in the ten-team bracketed tournament, meets second-seeded B.ay A.rea D.erby in the semifinals Saturday at 2 p.m. MST (4 p.m. Central). 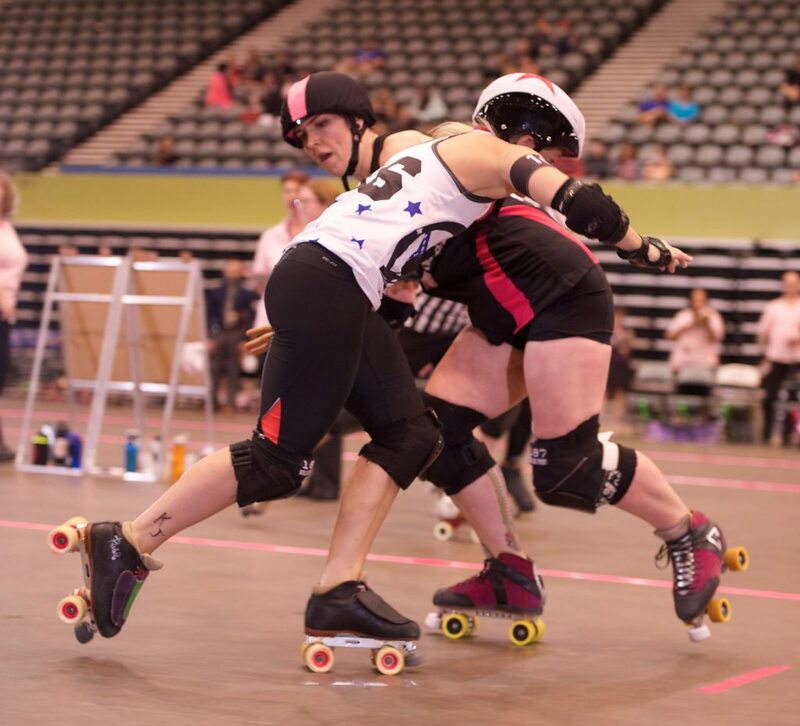 By the end of the weekend, the top three finishers in Tucson advance to the WFTDA Championships in St. Paul, Minnesota in November. Arch Rival trumped Des Moines, the playoff’s sixth seed, on the first rotation as Brickyard’s power jam resulted in a 20-0 launch. After Des Moines scored five to cut the deficit, Annie Swanson collected three in jam three to extend St. Louis’ lead to 23-5 with 25:30 left in the period. Swanson later added 11 points in jam 8 that pushed ARRG’s advantage to 40-12 at the 19:30 mark. As the period progressed, Arch Rival posted 31-0 rally to widen the differential. Leading 44-19, Bricktator collected nine with 15:07 left in the period to make the score 53-19. Swanson notched 15 on the next rotation and Mighty Mighty Boston posted seven via a power jam at the 10:21 mark to finish the uncontested streak and Arch Rival’s lead blossomed to 75-19. St. Louis extended the differential to 80-plus points with 3:45 left in the period following a baker’s dozen tally by Harmony Killerbruise that pushed Arch Rival’s lead to 116-63. Arch Rival possessed a 125-41 lead at intermission and as impressive as that was for the Missourians in the first half of play, the best was yet to come. The Arch Rival walls supplanted by Shear-Ra Powers, Emily Rinehart, Shimmy Hoffa, Chewblocka, Mayor Francis Slayer, Kayla Seiber, Party Foul, Cloak N’ Drag-Her and Jamheiser Bush held Des Moines scoring to 35 points in the second period. It also provided the foundation to help St. Louis gain a 16-7 advantage in lead jams. Up 159-52 midway through the second half, Arch Rival posted a 24-point power jam via Boston and pushed its lead to 183-52. St. Louis hit the bi-centennial mark with 6:30 left with Killerbruise’s 18 point power jam that made the score 207-60. Brickyard’s 20-pointer with 2:25 remaining widened the score to 227-68. Arch Rival (14-1) outscored Des Moines, 116-35, in the second period en route to the 241-76 quarterfinal victory. Swanson topped all scorers with 55 points followed by Brickyard’s 54. St. Louis’ Saturday semifinal meeting with B.A.D. will contain plenty of intrigue as Arch Rival’s Bricktator will face the squad she skated for ten months ago. B.A.D. topped Terminal City, 251-77, in its respective Friday quarterfinal bout. 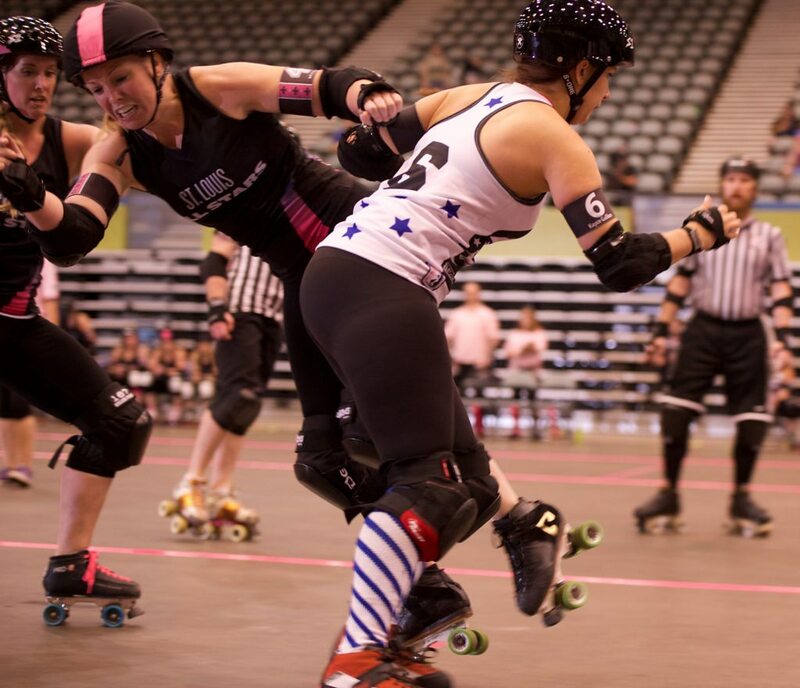 If Arch Rival gets a Saturday duke, it will reach the Tucson gold medal game and will automatically qualify for the WFTDA Championships. A semifinal setback still keeps the Missourians’ post-season dream alive as it will compete in the tourney’s third place contest, where victory still results in a St. Paul trip in November. If Arch Rival had its druthers, the former is preferred Saturday afternoon. 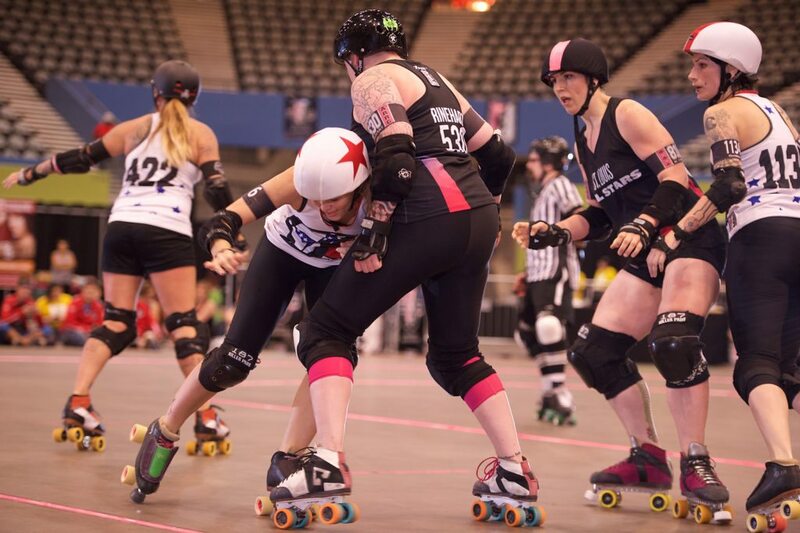 A free audio stream of the entire weekend can be heard at wftda.tv. 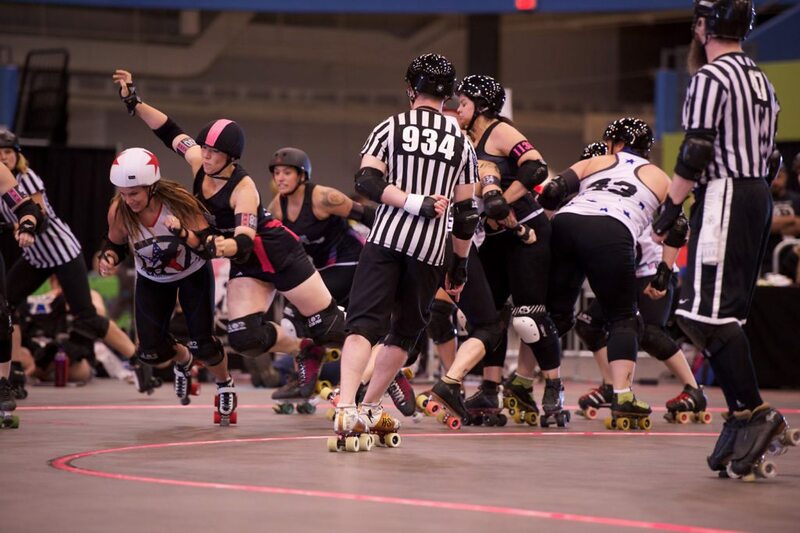 ARCH RIVAL ROLLER GIRLS (241): Annie Swanson 55, Brickyard, 54, Bricktator 48, Mighty Mighty Boston 43, Harmony Killerbruise 41.